Okay, so far the only other game I've made on this site (http://strongbadiathefree.forumotion.com/actual-games-f17/i-m-tired-of-the-brothers-chaps-not-posting-new-stuff-so-i-t80.htm) has been a complete waste of space. However, I have higher hopes for this one. It happens. Usually we don't realize it at a young age, but there ARE people out there who are not Homestar Runner geeks. They do not spend half their lives on forums named after SBCG4AP Episodes, they do not randomly quote Strong Bad, and some of them have never even heard of Homestar Runner at all! And these Anti-Homestars, as they are known, can be anywhere. One or more of them may even be a good friend of yours! Here, we shall post all the warning signs that can tell you your friend is an Anti-Homestar. I shall start. You know your friend isn't a Homestar Runner fan when they tell you that the town has a MAYOR, not a King. -They can't tell the difference between "its" and "it's" and get annoyed when you sing that song. -They don't spellcheck their emails. You know your friend isn't a Homestar Runner fan when they ask about that stupid calender with the dumb animal characters. You know your friend isn't a Homestar Runner fan when they ask why you keep telling them that you don't really even care about them. -They ask what a "Deletehead" is, and to stop saying "Holy crap!" -They tell you to stop making those squeaky rodent noises. You know your friend isn't a Homestar Runner fan when they ask who The Cheat is, and why you keep telling us that he's not dead. 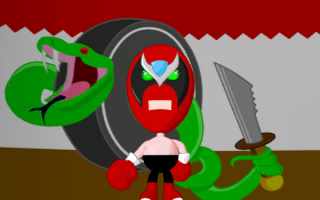 You know your friend isn't a Homestar Runner fan when they tell you that they don't want their E-mails...DELETED!!! You know your friend isn't a Homestar Runner fan when they ask where they can buy some of this environmentally-friendly "new paper" you keep talking about. You know your friend isn't a Homestar Runner fan when they tell you that "that sounds sinful!"